While it wasn't the only reason I picked up an Apple Watch Series 4 earlier this year, the electrocardiogram feature Apple demonstrated at its big September event was certainly one of the smartwatch's most unique features. I doubt there's anything wrong with my ticker, and Apple's implementation still isn't as good as the ECG you'd get at the hospital — of course — but it's fun to see your heart's electrical activity on your wrist. With the release of watchOS 5.1.2 yesterday, the long-awaited ECG feature is finally ready for public consumption. All you have to do is attach your Apple Watch to its charging cable, pull up the Watch app on your iOS device, tap the "General" option, tap Software Update, and let 'er rip. 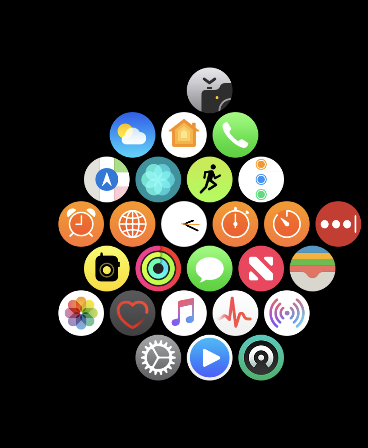 Once the update installs, you'll see a brand-new icon of an ECG reading on your smartwatch's Grid View. Tap it, and you'll be prompted to set up the new ECG feature. And here's where things get a little messy. Though I had only been running watchOS 5.1.2 for an hour, at best, I've been running iOS 12.1.1 — also required for the ECG app — for some time now via Apple's Public Beta program. The "official" version of iOS 12.1.1 also dropped this week, and I phrase that as I do, because you won't be able to set up the new electrocardiogram feature on your Apple Watch if you're enrolled in the iOS beta. If you're enrolled in the iOS Public Beta — even if you're running iOS 12.1.1, which appeared as build "16C5050a" on my iPhone's About screen, not "16C50" — you won't see these options at all. You'll have to un-enroll yourself from the beta; download and install the public-facing, multi-gigabyte iOS 12.1.1 update; and navigate to the "Heart" section of the iPhone's Watch app. Once you're on iOS 12.1.1 proper, setting up the ECG feature is both easy and wordy. 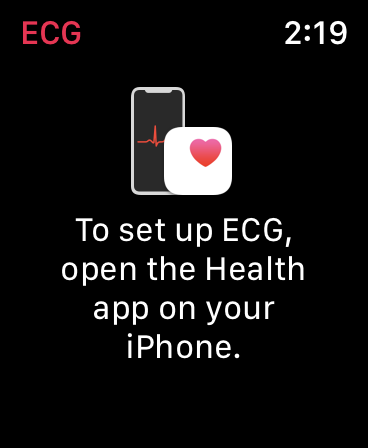 Tap on the "Set up the ECG App in Health" feature, and be prepared to run through a number of screens all designed to tell you that the ECG feature, while fun, isn't intended to replace actual medical advice and/or care. To conclude the setup process, the ECG app will ask you to take your first reading. Make sure your Apple Watch is "snug" against your wrist, hold the Digital Crown with your finger, and prepare to spend 30 seconds watching your heart do its thing. 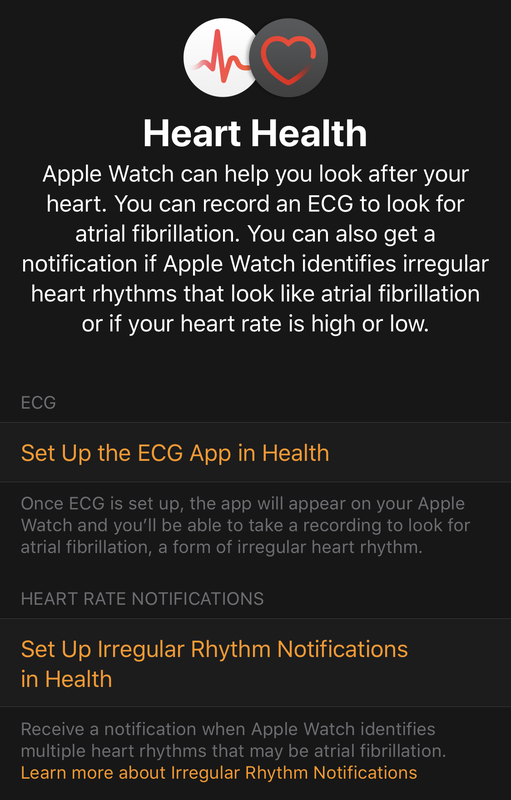 Once you're done, make sure you go back into the Heart section of the Watch app and set up Irregular Rhythm Notifications. Odds are good you'll never get a warning from your watch that some weird heart reading means you're dying, but better safe than sorry, right? 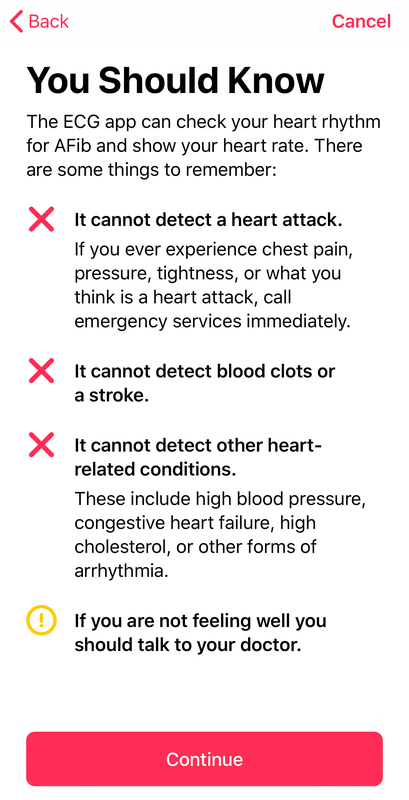 As before, you'll have to go through a number of prompts warning you that the Apple Watch isn't constantly monitoring for every heart ailment that could possibly affect you. Nor should you wait for the Apple Watch to notify you that something is weird if you aren't feeling well — if you can sense an irregular heartbeat yourself and you're feeling dizzy, when in doubt, seek an in-person medical assessment from a doctor right away. So this will work in Australia? If I go through the process of leaving the public beta and reinstalling iOS 12.1.1 here in Australia I will then be able to use the ecg functionality? Or does it not in fact work here and this would be a colossal waste of time?